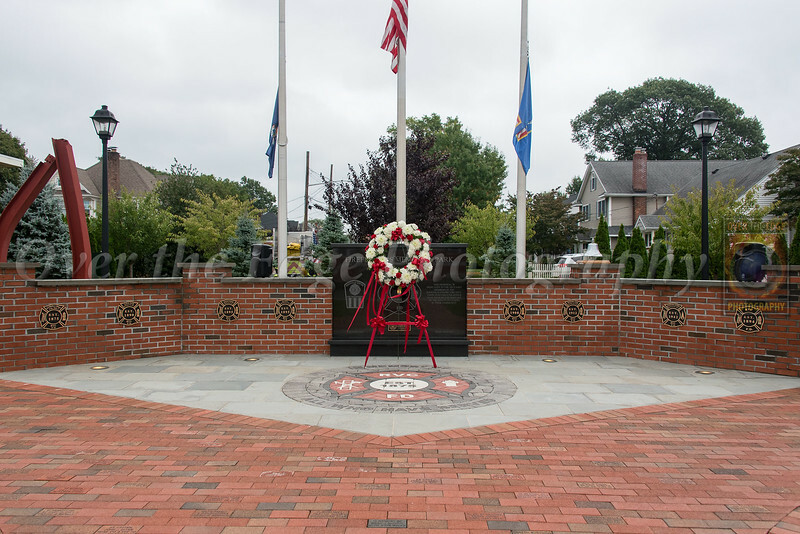 On Sunday October 7th, the Rockville Centre Fire Department held their annual Memorial Service at Firefighters Memorial Park in Rockville Centre. This year, Ex-Captain Brian Ahern (Eureka Hook Ladder & Bucket company No. 1), Firefighter William Bath (Alert Engine & Hose Company No. 2), Ed-Captain Eugene Brown (Defender Hose Company No. 1), Honorary Chief William Gross (Reliance Hose Company No. 3), and Honorary Chief George Leach (Live Oak Engine Company No 1) were remembered at the ceremony. In addition to the memorial service, a new monument was dedicated in memory of all members lost in the line of duty.